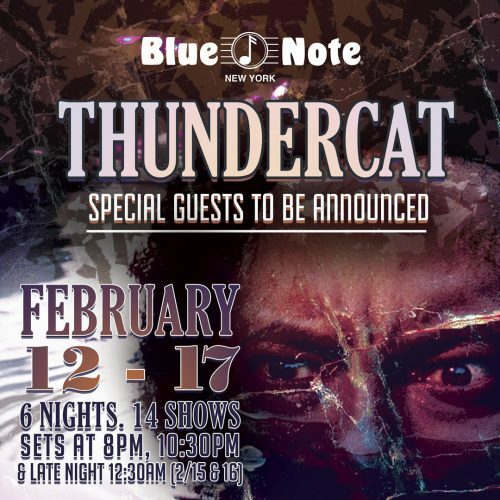 Thundercat is preparing for a six-night residency at the Blue Note jazz club in New York City from February 12-17th. He will have different guests nightly to join him onstage for the 14 shows. The bass player and songwriter is one of the artists featured on the Brainfeeder X compilation released at the end of 2018. Tickets for the Blue Note shows are on sale now.